If there was a bubble over my head it would have read – “WHAT!” I wanted to pull over to the side of the road, stop the car, and ask her “Who do you think you are?” But, I knew who she thought she was. She thought she was my mentor, a role that is often decided upon in an unspoken fashion and by virtue of age, and often experience. Occasionally older professionals automatically assume this role. Sometimes it works perfectly, and sometimes it does not. After that comment and a few others, I realized that this colleague wanted to work with me only if she could offer me her list of what I should and should not do. When the colleague advised me to only show 80% of who I was, I did not listen because I knew who I was and I was not going to be anything less than 100% of Lisa! Advice from friends and family is sometimes offered even without asking for it. We all know they mean well. Advice is never ending no matter where we are in life. From what college you should attend, what day care to select, and so much more, the list is endless. Because I am an advocate for having solid self-awareness and really knowing who you are, I feel compelled to share this story to serve as a cautionary reminder that when we are seeking sage advice from a family member or friend, it is always coming from their perspective, their ideas, their experiences. It does not mean they have the answers or it is the right advice for you. No one has all the answers, or the secrets, because if they did we would all live happier, easier lives. We would not be on a constant journey of self-discovery. 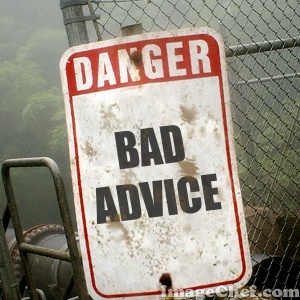 Everyone who offers advice thinks they are bestowing the best advice they can, just remember it is your job to decide what you like, may use, or simply may just ignore. My advice, and it’s only my advice from my perspective and life experience to you is this – to know and remember who you are. There is only one you and you get to make the choices for you and your life. If you are not sure who you are, and you feel insecure, maybe you are riddled with self-doubt, that is okay. We are here, living very human experiences and we grow and change at our own special pace. Maybe it just means it’s time for you to embark on the greatest journey of all – the self-love journey. You can start today, and please know that you are not alone. I have been on this journey all my life and that’s okay because we all change and grow in order to become the best version of ourselves. My book Life Happens: Bounce Back! is the story of my journey. You can read my book, or any other book out there, there are so many fabulous resources for you. You can listen to motivational tapes on YouTube or watch my television show on my website. Whenever you decide you are 100% ready to make that leap and go on the journey, always remember it’s your choice, and you and only you get to decide. Sending love and kindness to you today and every day.